I wasn't sure where to post this so of course if needed move it to the proper forum. Thanks. 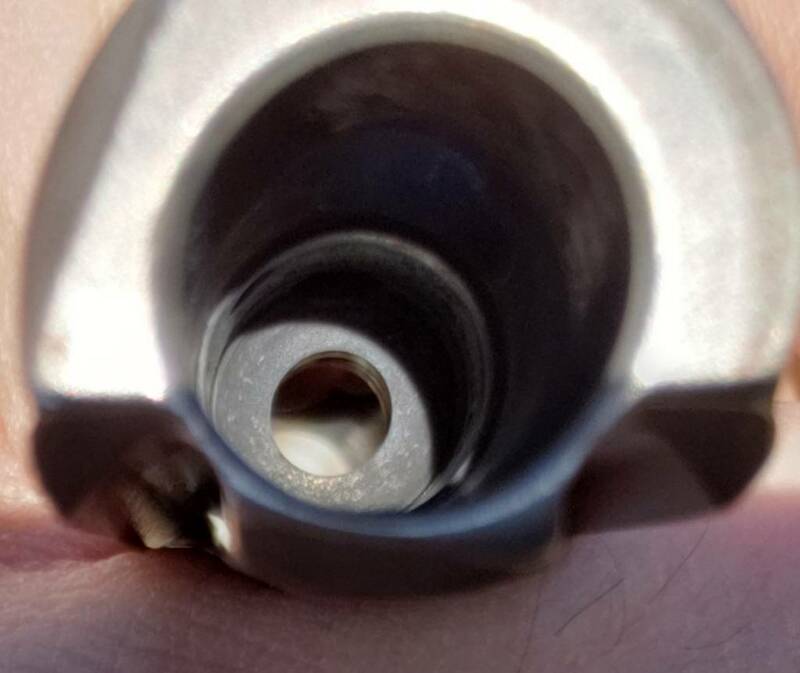 While cleaning my AR there was a spot inside the carrier where the bolt "sits", not sure what to call the area, and there was a place I couldn't get clean. So after doing a little digging I find it's actually a couple little divots in the surface. Am I looking at the end of that carriers life? Of course getting a decent photo is near impossible but you can see the dark area on the surface at the bottom. Last edited by rollin thunder; 03-31-2019 at 03:39 PM. You weren't kidding about that being a hard pic to grab! darbo and GreenWolf70 like this. Take it to a gunsmith. It looks like the metal is too hard and is starting to chip. It's probably the flash chrome flaking off. 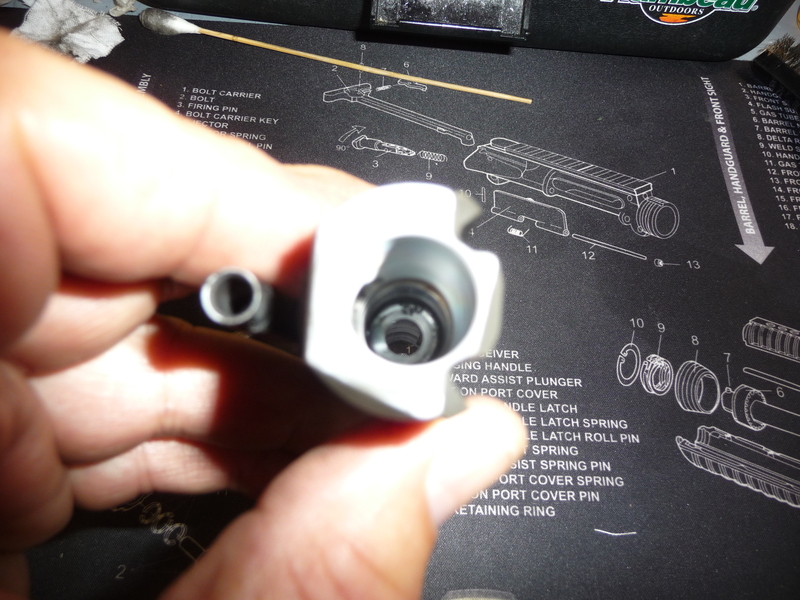 The bolt sits against the cam pin and shouldn't seat there. That is the gas expansion chamber. It could be gas pitting since the flash chrome is gone. If the flash chrome is going bad, just replace it as it isn't worth getting redone. Flaking chrome can damage the gas rings and scour the OD of them. However the odds are the chrome went out the exhaust ports. In many cases, it doesn't affect function until it is on the ID where the rings slide. darbo, taurustoter and lwb92af like this. LOL! Thanks for the photo. You did a good job! I do have 2 bolt carrier groups from the same mfg. and the other one does not exhibit the divots. It is smooth like yours. I do have another complete, after market, BCG so maybe it's just time to replace it. I don't round count but the rifle does have a good bit of ammo ran through it. 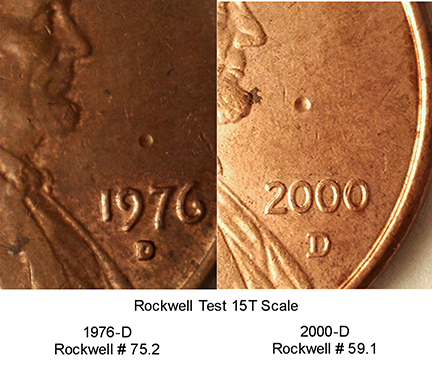 If I check very carefully I would say there are 3 separate divots and I think they are not as uniform as the mark a Rockwell test would leave. Plus it just seems like an odd place for it. Of course it's impossible to show depth in the photo but I think the divots are too deep to be chrome flaking off. Maybe it's time to send the photo to the mfg. This is along the line of my first thought on the issue. As I said in another response it may be time to send a photo to the mfg and see what they have to say.